Can't wait to get your hands on Doctor Who's 500-Year Mini-Diary? Order this hardbound, collectible journal! 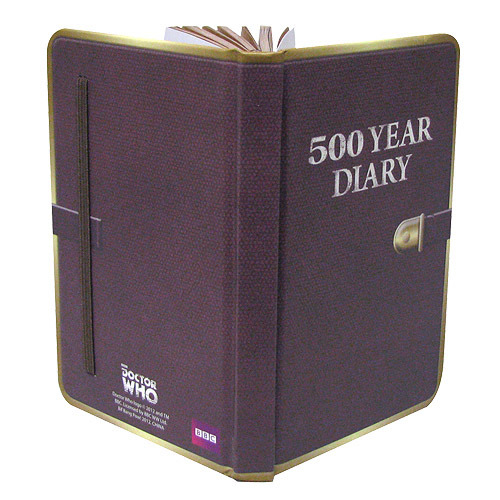 Betcha can't wait to get your hands on Doctor Who's 500-Year Mini-Diary to see what he wrote! Unfortunately, its pages are blank. Fortunately, the hardbound, collectible journal is the perfect place to log your own incredible adventures. Measuring 5 1/2-inches tall x 3 1/2-inches wide, it contains 192 lined white pages, all primed to record what you have to say!